Choose from the Fun or Challenge game, or create your own unique game by configuring the rules. 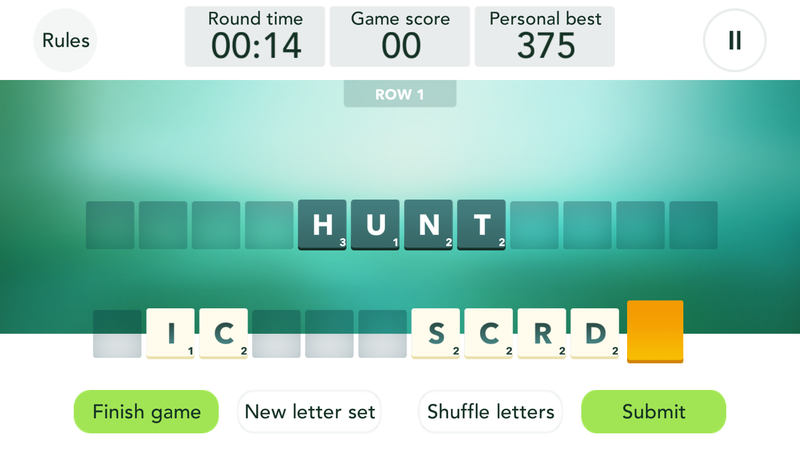 Using the letters in your letter rack, create words which conform with the rules of the game you are playing. When a letter in a word above is repeated in the word below, you have created a boat. Boats link your Crickle together. The number of boats required varies according to the game you are playing. Floats give you a helping hand when things get tricky. Use a float to float the letter above down to the word you are creating. But remember, you get the letter but you won’t get the points! Using the letters in your rack, you create words by dragging the letters on to the highlighted row. The aim is to create a Crickle, and you score points according to the letters, speed and the length of the word you place. Here the ‘h’s have created a boat and linked the Crickle together. Note that while the letter is floated, the points are not. Floats are free and very useful, but they score no points. Before you begin play, you choose a game on the Select the Game screen. The game you are playing – Fun, Challenge or Custom – determines the number of boats you must make, and floats you may use. 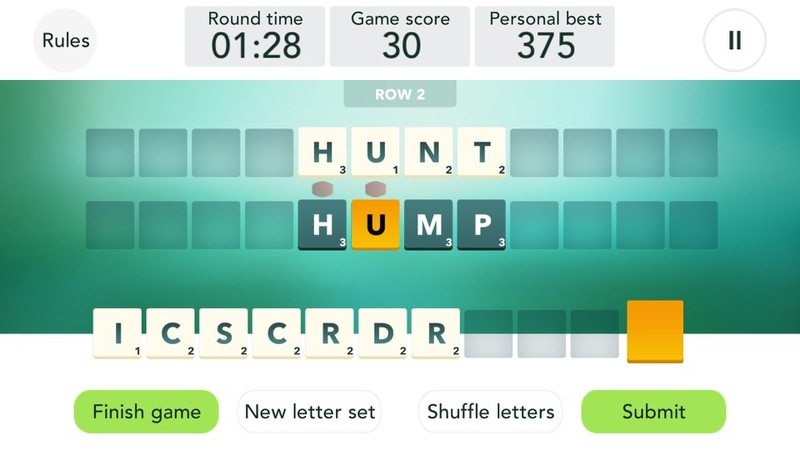 During play you may pause the game, check the rules, shuffle your rack letters or request a new set of letters. 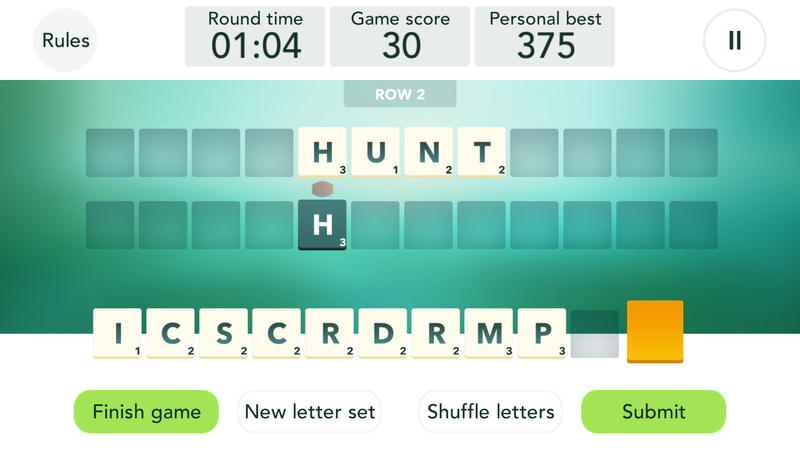 If you order a new set of letters you will lose 30 points and if you pause the game you will not qualify for the leaderboard. When you have completed all 16 rows, you will be shown the game results including your best previous score for this particular game. You may post the results to social media and challenge friends to match, or better your score.